We spent our Memorial Day weekend in Fort Worth, Texas this year. I have extended family living there that we hadn’t visited since 2006. We also celebrated my cousin’s high school graduation while we were down there. Adam met me at school after work on Friday and we went straight to the airport. We landed around 8 p.m. in DFW and enjoyed burgers on the grill at my aunt and uncle’s home that evening. On Saturday we spent the day with my aunt Mary and cousin Jacob at the Stockyards and the Fort Worth Water Garden in downtown Fort Worth. The garden has a few cool fountains and “mountain” to climb. My cousin Nathan sang later in the Stockyards with the Texas Boys Choir. We celebrated Rachael’s graduation on Sunday. I helped decorate cookies in her school colors, hang a few decorations, and set up a few photo displays. Rachael’s graduation ceremony was after the party. It was a little bit of a mad rush to get everyone to the convention center in time for the ceremony. Parking was limited due to another high school’s graduation was just ending. Everyone was much more relaxed after the ceremony was over. 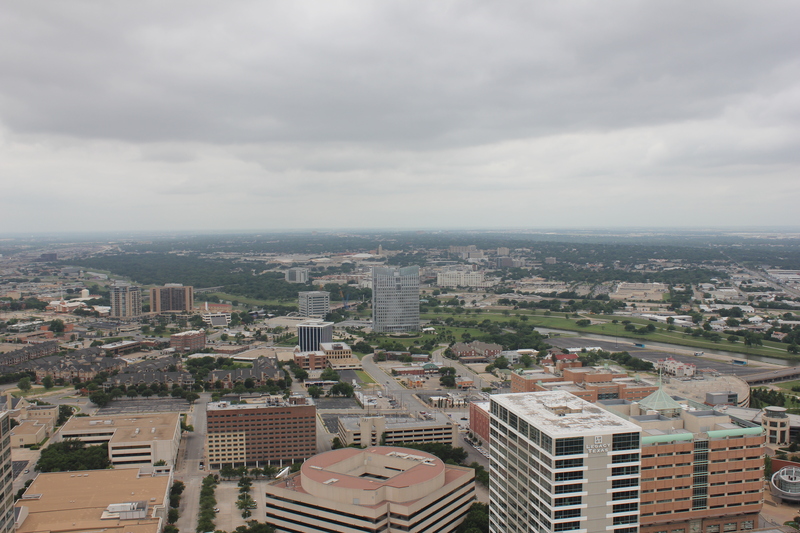 On Monday we went to my uncle Gary’s building in downtown Fort Worth and admired the view from one of the top floors. Afterwards we went to the George W. Bush Presidential Center and The Porch in Dallas before being dropped off at the airport. I won’t go into politics here, but the exhibits were interesting.